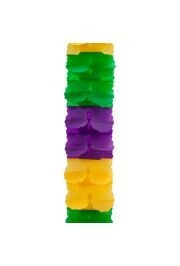 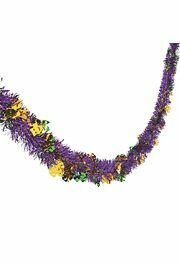 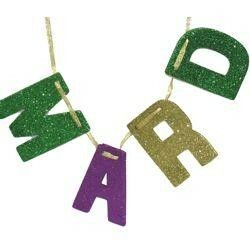 Add the finishing touch to your Mardi Gras decorations with Garland. 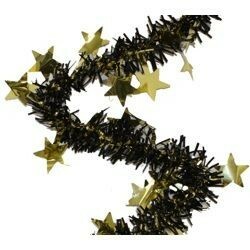 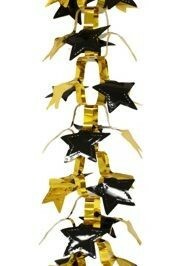 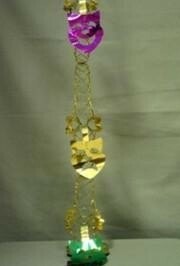 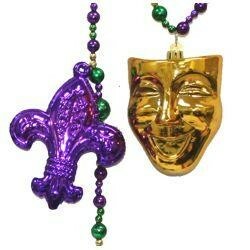 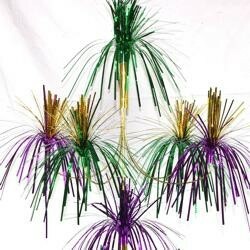 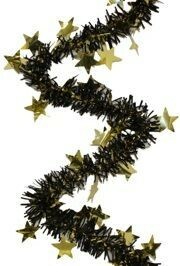 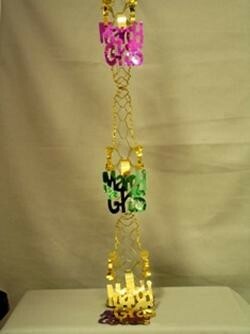 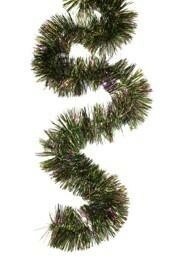 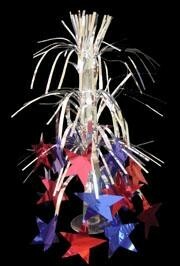 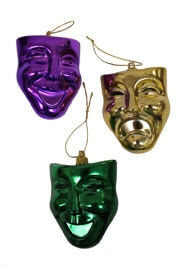 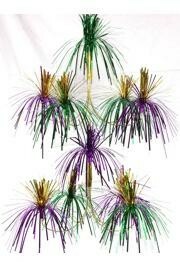 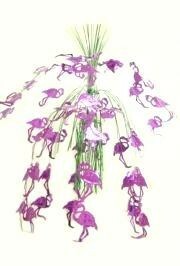 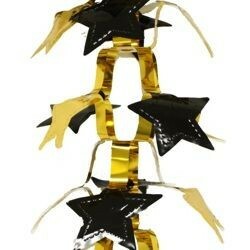 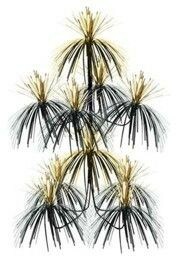 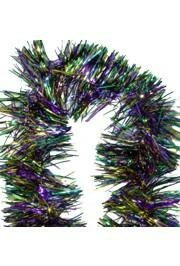 Our Garland inventory includes Pull Out Garland, Mardi Gras Garland, Tinsel Garland, and Wire Garland. 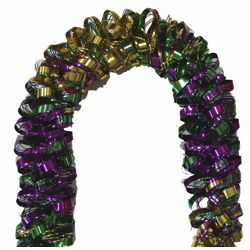 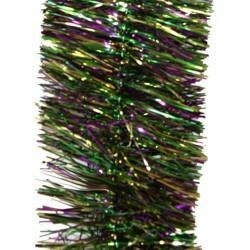 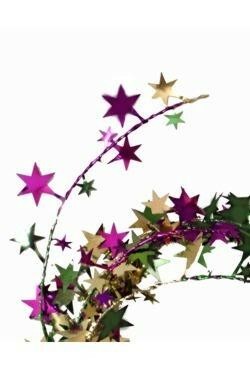 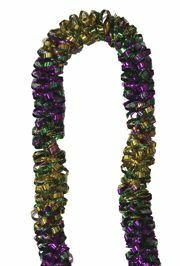 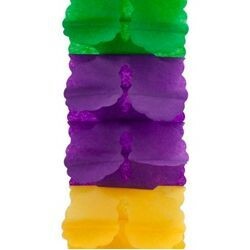 A 7 foot long and 8 inches wide metallic purple green and gold pull out garland is great for Mardi Gras party and for float decorating. 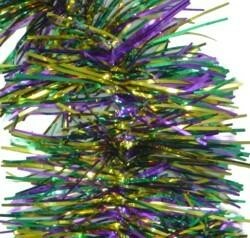 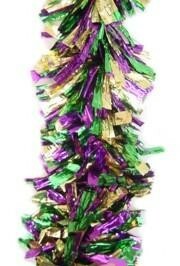 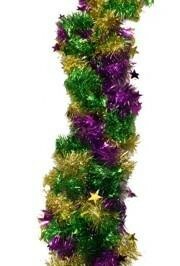 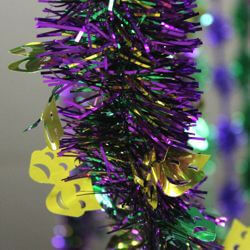 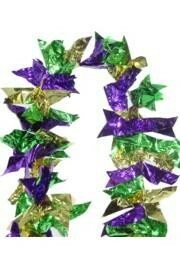 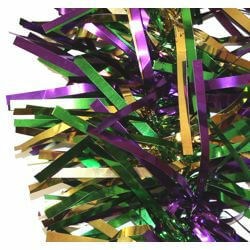 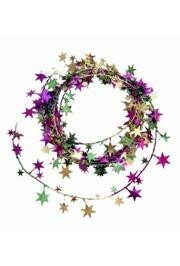 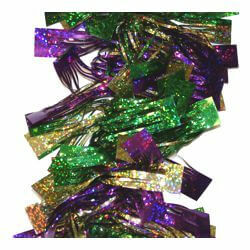 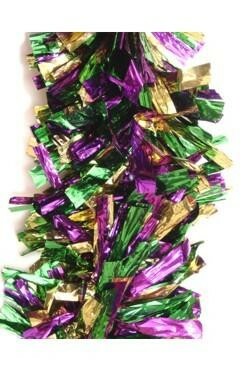 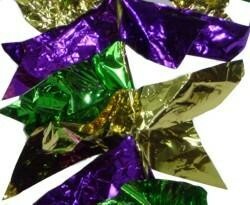 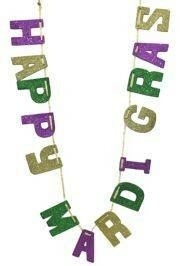 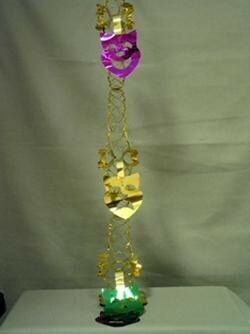 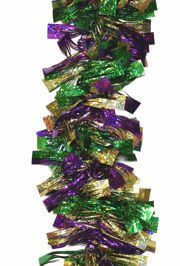 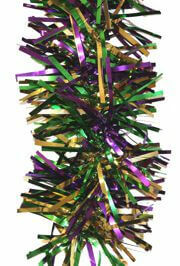 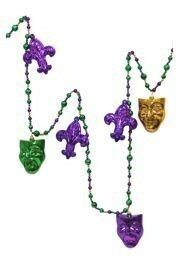 Finish your Mardi Gras party decorating with sparkling purple, green and gold metallic tinsel garland.